Hormonal pigmentation, as the name suggests, is a skin condition that is caused by an imbalance in the hormones and results in the change of the skin color from normal to a patchy and brown. It is more prevalent in African and Asian women as compared to others, although it can affect women of any race. In rare cases, it is also found in men. Due to hyperpigmentation, the face skin, specifically cheekbones, forehead, and jawline, turns into brown colored patches. 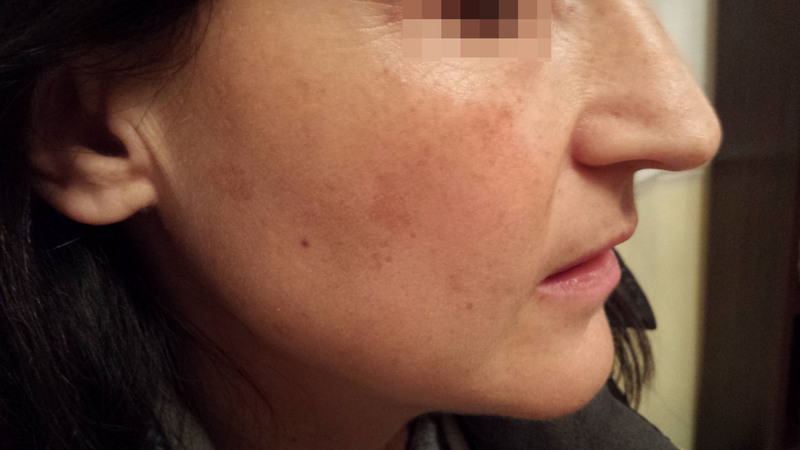 Because of its color, it is also known as Melasma which is another word for brown. In most cases this is an active condition that requires long-term attention and care. Hormonal pigmentation mostly occurs in women after the age of twenty-eight. The skin on the face turns into blotches of brown which is sometimes dry and sensitive too. It can be found rather symmetrically on both sides of the cheeks and even on the jawline and moustache area. In some cases, the severity of these patches changes from time to time depending on the estrogen and progesterone levels in the body of the individual. The increase in melanin in the epidermal layer of the skin. Unopposed estrogen in the body of the individual. A side effect of birth control pill. Medication about the hormone therapy. It can occur during pregnancy fading away after that period is over. The easiest way to avoid hormonal imbalance is to eat a fresh and healthy diet full of natural ingredients and fresh vegetables and fruits. The nutrients present in a complete and varied diet automatically regulate the levels of hormones in an individual’s body. Apart from that, it is also important to maintain a healthy body fat percentage. In most cases, obesity is one of the main culprits of hormonal imbalance. Along with these precautions, medicated ointments and gentle skin care should also be used and practised respectively. Also, sunlight is one of the most effective triggers of melasma, so an efficient and regular usage of a sunscreen with a high SPF rate will also help avoid this condition. Along with the natural ways to prevent hormonal pigmentation, natural remedies can also be put to practise to treat the condition. At our HP Dermatology centre, we apply Dr. Zamir formula on the pigmentation which would cause pigmentation incrustation. It will then take a time period of around one to two weeks for a new layer of the skin to develop and naturally the pigmentation incrustation would peel off. In some cases, however, a repeated hormonal pigmentation treatment is required. 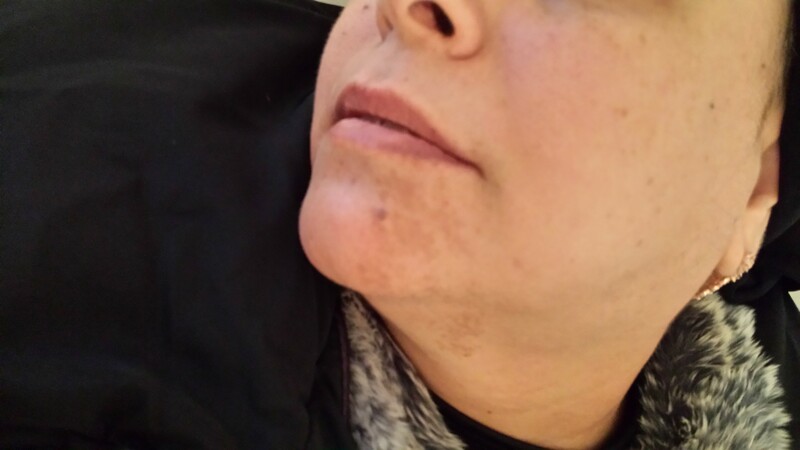 The specialty of our hormonal pigmentation treatment is that it will not leave a scar that can only be left by a result of cutting or shaving off a layer of the epidermis tissue. In some cases, a tiny mark can be left on the skin, but even that will be of a natural texture that would disappear naturally with time. So opt for our natural and homeopathic remedies for your hormonal pigmentation issue and get treated without any hassles of side effects to chemical treatments. Our experts at HPDC can help you get hormonal pigmentation treatment without using harmful steroids, which may have an adverse effect on your health. Our hormonal pigmentation treatment methods are completely natural that not only treats this skin issue completely but also ensures no harm is done to your health in the process. Get in touch with us; we’re just a phone call away.